Ten points for Kaitlyn Pan with another bomb dupe! 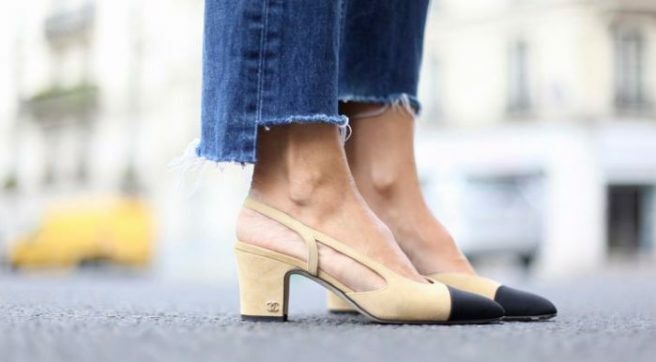 This time it's the classic Chanel beige and black slingback, Now these shoes aren't new at all, in fact, they are older than probably everyone reading this blog. 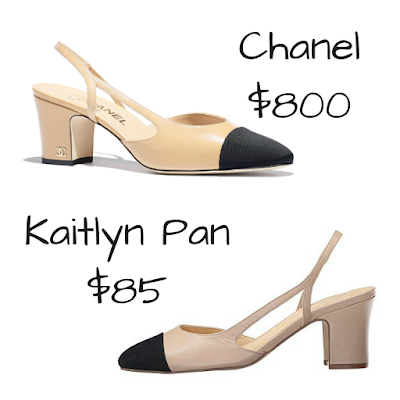 But they continue to be a staple in their collections; its one of the most popular Chanel shoes of all time. I've always thought this shoe was just for the older ladies but the young girls are loving them too. I assume so many people love them because the colors go with all skin tone. Now, there are so many dupes and inspired looks made after this shoe but I've found the best one on Amazon for under $100. See them for yourself and check it out below!